I was folding laundry when I notices a pattern. Looks like I really like wearing navy blue and grey. 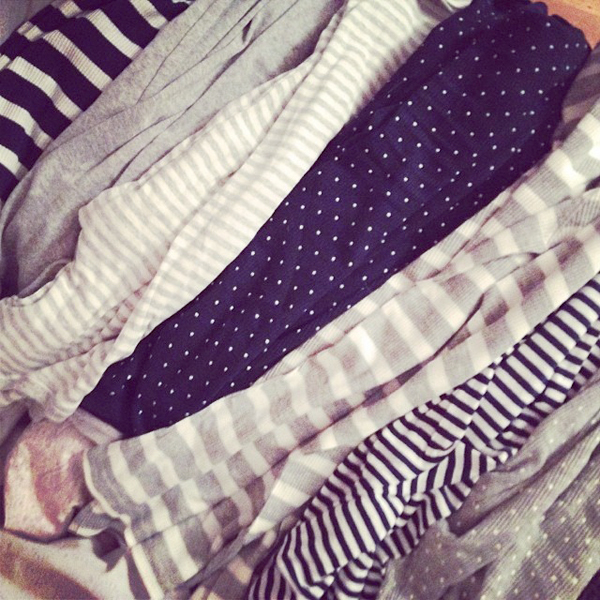 Stripes and polka dots.